Travel cheaper with our Snap Rentals coupons and vouchers. Snap Rentals is New Zealand’s fastest growing and most awarded car rental company, offering the best value for money on economy and new cars. With pickup locations at Auckland Airport, Auckland City, Christchurch Airport, Queenstown Airport, and Queenstown Town Centre, Snap Rentals has New Zealand covered. Looking for the best value rental car in New Zealand? 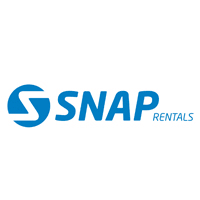 Choose Snap Rentals car hire. Snap Rentals gives you the best prices on new and economy vehicles, as well as fully electric vehicles and simple low cost insurance. Book direct and save.